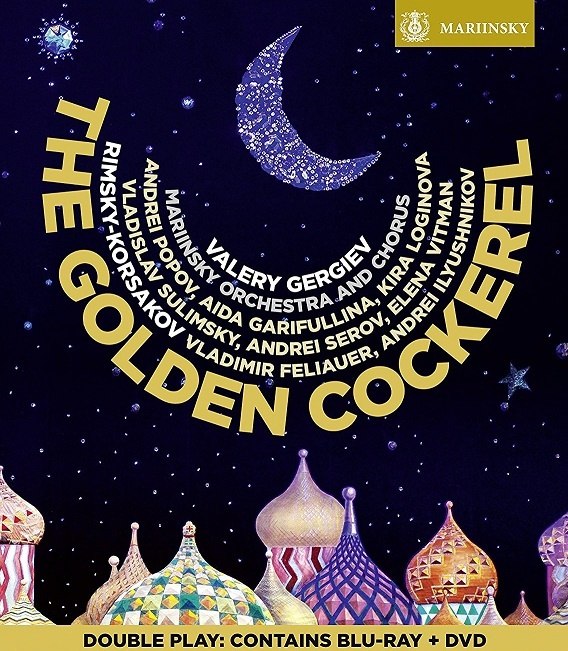 Following celebrated productions of Prokofiev Semyon Kotko and Shchedrin The Left-Hander, Valery Gergiev continues his survey of uniquely Russian works with The Golden Cockerel, Rimsky-Korsakov’s final and, arguably, most mysterious opera. 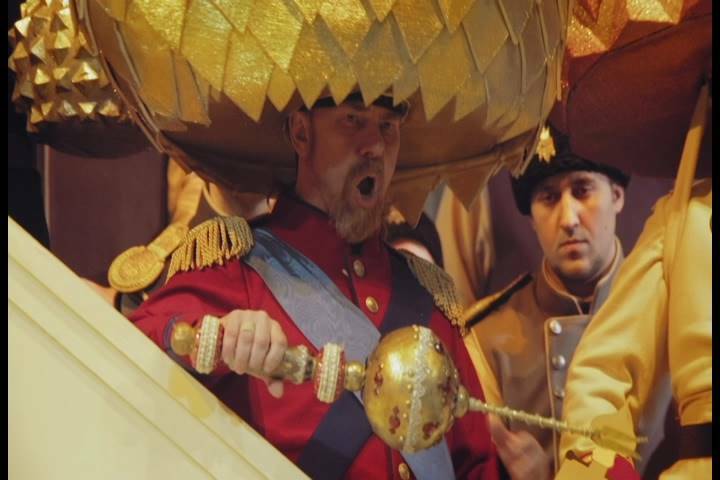 This vibrant new production features bass-baritone Vladimir Feliauer as Tsar Dodon, alongside celebrated soprano Aida Garifullina as The Queen of Shemakha and mixes live action with CGI. It is the vision of Anna Matison, acclaimed playwright, script-writer, film director and producer. The Golden Cockerel was Matison’s directorial debut with the Mariinsky, and saw her also take on the roles of production and costume designer. “In selecting the genre of the fairy-tale”, the stage director says, “I do not intend to experiment with it as a genre. 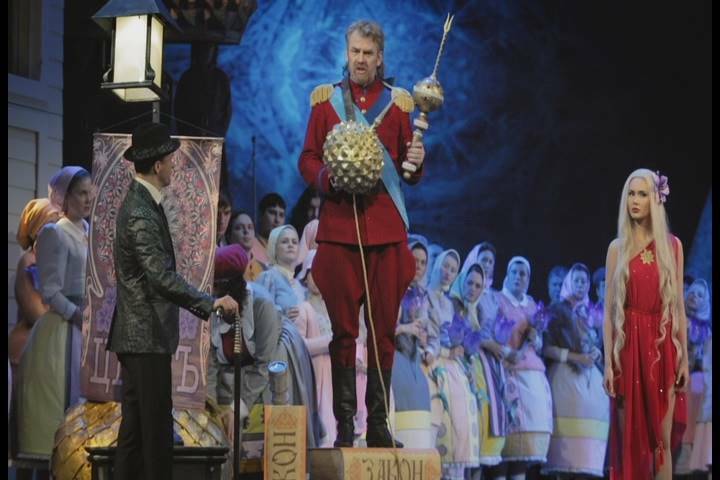 It is a family story: for children it is a merry and vivid tale; for parents it is a wise parable.” The melodious nature, beauty and leitmotifs of the plot are underscored by the production designs; the opera uses pantomime and masquerades, while the sets utilised 3D video projections. For much of the twentieth century, Rimsky-Korsakov’s operatic work was largely ignored in the west, and he was better-known for his editing of major works by Mussorgsky. A thoroughly Russian composer, his music derived much from his country’s rich legacy of folk tales, and his lush, exotic orchestration was a strong influence on his student Stravinsky. 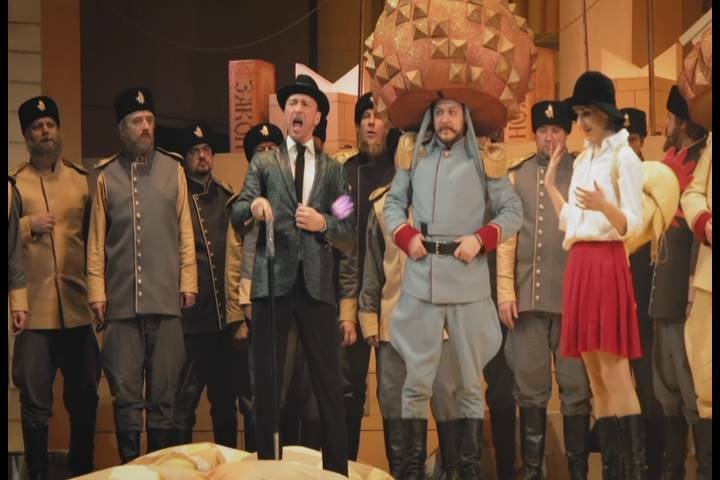 Completed in 1907, just after the Russo-Japanese war, the opera’s depiction of a witless Tsar meant it was initially banned and Rimsky-Korsakov never saw it performed. Finally staged in 1909, it received its first performance at the Mariinsky in 1919.